A state audit into the financial management practices of PGCPS revealed the school system often did not adequately document or justify millions in spending. A Maryland state audit into the financial management practices of Prince George’s County Public Schools revealed the school system often did not adequately document or justify its spending, including millions in contracts awarded to vendors. 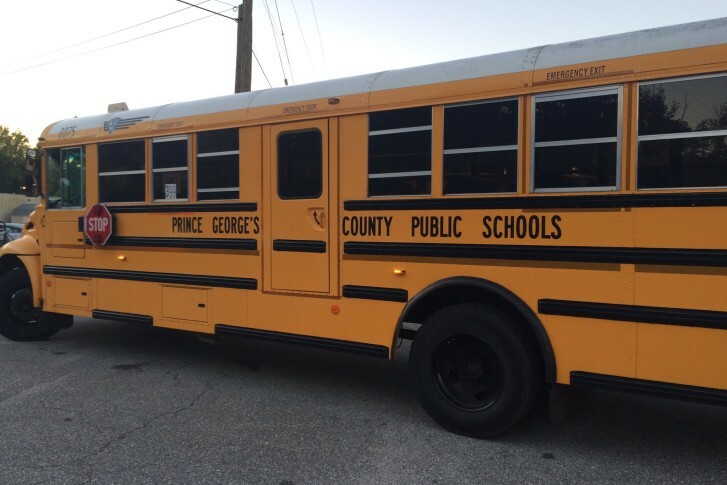 The wide-ranging audit raised concerns about financial management in several areas of the Prince George’s County school system, including human resources, transportation services and procurement. In a summary, legislative auditor Gregory Hook detailed multiple instances where the school system, one of the 25 largest school districts in the nation with more than 134,000 students, did not adhere to state policy by providing required documentation for a number of spending and financial resource decisions. It cited 32 instances where competitive bid contracts totaling $43.1 million were not submitted to the school board for review and approval, including two contracts awarded without justification to vendors that were not the lowest cost or considered the most qualified. 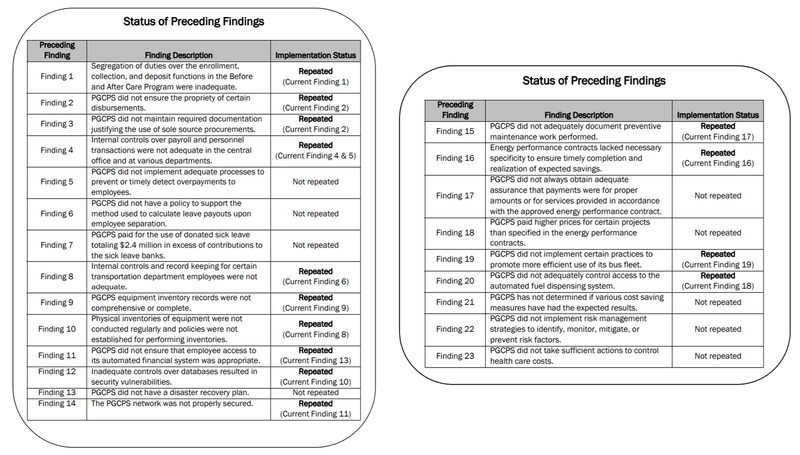 “Our audit disclosed that, in a number of financial areas, PGCPS needs to establish better procedures and internal controls and ensure those processes are effectively operating to comply with its policies to control cost,” the audit summarized. The latest audit also discovered 13 sole-sourced contracts — totaling $6.8 million — where the required justification was not documented. In a letter to the school community, PGCPS interim CEO Monica Goldson admitted the audit revealed a number of “weaknesses” in the school system’s financial practices. Goldson announced two immediate actions in her letter. First, said she will request the Office of Legislative Audits to identify the 13 sole-sourced contracts referenced in the audit. Once identified, Goldson said she would request an external forensic audit to investigate any ethical violations or potential criminal wrongdoings. Second, Goldson said she will direct the school system’s chief operation officer to request the Office of Procurement be removed from PGCPS’s control until their administrative processes are resolved. Of the 23 findings described in a previous audit report released Feb. 19, 2014, the majority — 14 — were found not to have been satisfactorily addressed in the five years since, including tightening internal controls over payroll and personal transactions, ensuring proper documentation justifying spending on procurements and implementing cost-saving practices on its bus fleet. It also raised concerns about long-standing vulnerabilities in the school system’s computer network. The school system failed to ensure adequate malware protection across all active computers and had not configured its network to log all security events, the audit concluded — oversights which could leave the county school system vulnerable to intrusion or infection. Corrective action plans were provided to remedy these shortcomings, with the audit providing deadlines throughout 2019 for each department responsible. Goldson said efforts were underway to implement the recommendations.